Benton & Tilley: English Country House Tour! A couple of weeks ago I decided to visit a slew of English country estates. England is a veritable treasure trove of these types of houses, and so I was thrilled to see several country houses before most of them closed their doors for the winter season. Below are some of my favorites! 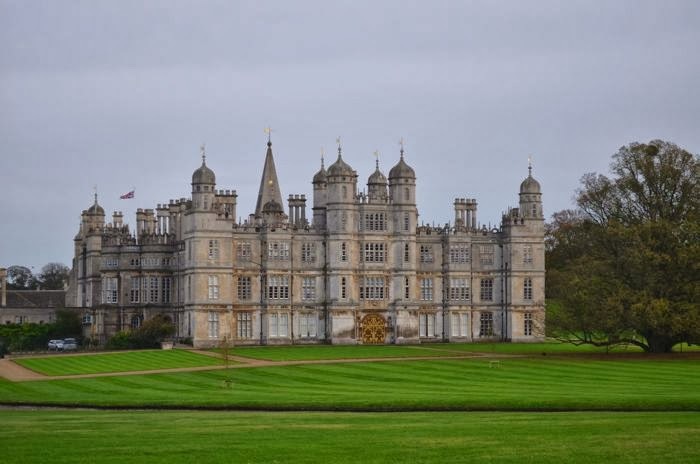 Burghley House -- William Cecil, who was the principal secretary and Lord High Treasurer to Queen Elizabeth I, built Burghley House in the Lincolnshire area to display his power and wealth. The house is a prime example of Elizabethan architecture with its symmetrical design and its many towers and gables. One of my favorite pieces in this house was the marquetry cabinet below. 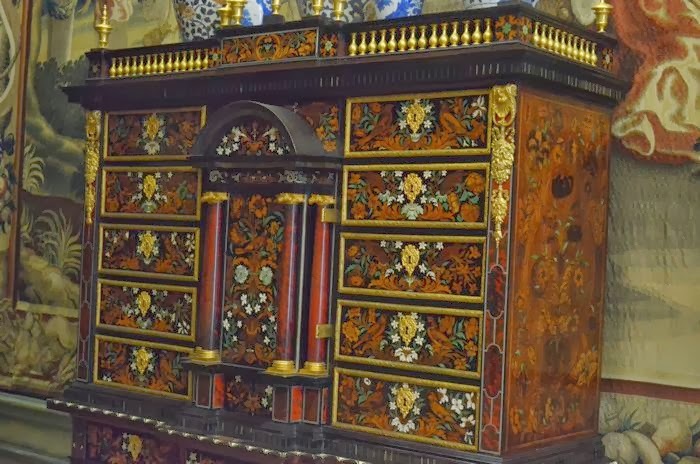 It is one of the first pieces of marquetry ever made, likely for King Louis XIV of France. The detailed ivory design of jasmine flowers was exquisite! 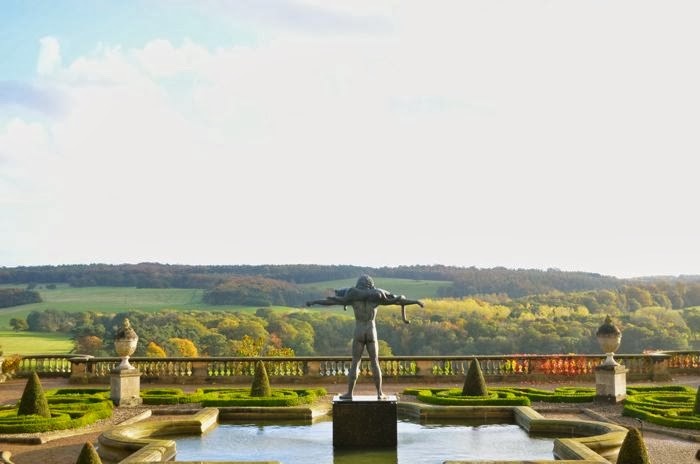 Harewood House -- I travelled up to Leeds in beautiful Yorkshire to see Harewood House. The house was far enough away from the Leeds train station that I decided it would be best to take a local bus out to the house. I clearly looked like a tourist, because essentially everyone on the bus told me when I needed to get off of the bus to get to the house. 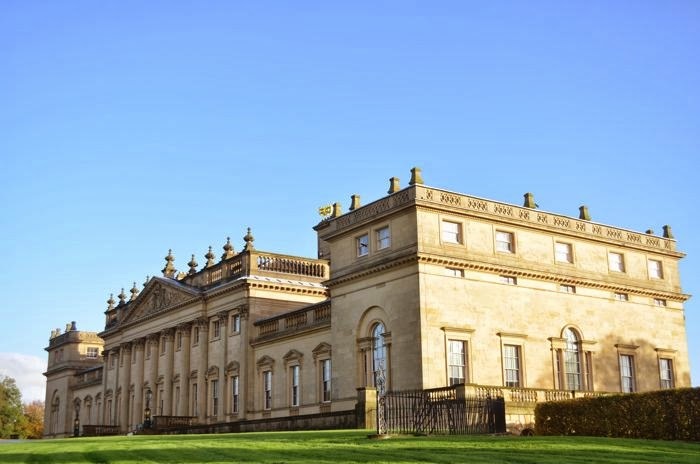 Queen Elizabeth's aunt; Mary, the Princess Royal; was the chatelaine of Harewood House from 1929-1947 during her marriage to the 6th Earl of Harewood. When I was walking through one of the rooms, the House's curator was giving a talk about the Lady Canning Games Table in the house. Lady Charlotte Canning was a lady-in-waiting to Queen Victoria and a skilled watercolors painter. She created a chess board where every other square was a mini watercolor painting of a place in India (where she had lived). The watercolor chess board and the rest of of Lady Canning's watercolor paintings were bequeathed to the 6th Earl of Harewood. Queen Elizabeth's nephew; David Armstrong-Jones, Viscount Linley; is the owner of Linley which is bespoke furniture company. When he heard about this watercolor chessboard, he created a games table around it out of English walnut and presented it to the 6th Earl. The games table is incredibly beautiful, and the history behind it quite meaningful -- but unfortunately, no pictures were allowed! 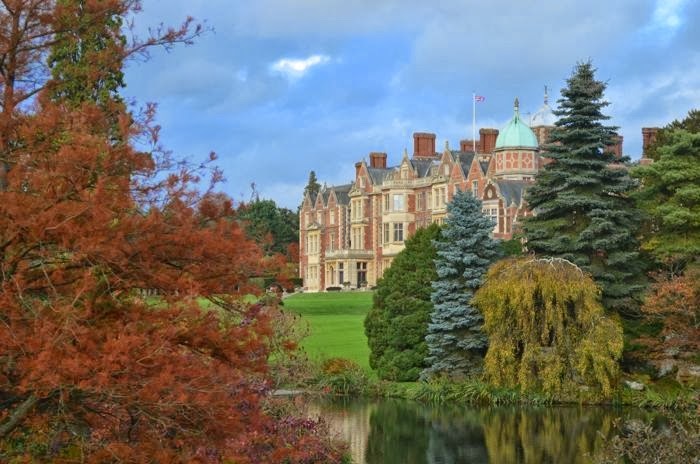 Sandringham -- Unlike Buckingham Palace, Sandringham is a Royal residence that is owned by the Queen personally, instead of the state. I was thrilled to be able to spend an afternoon there. 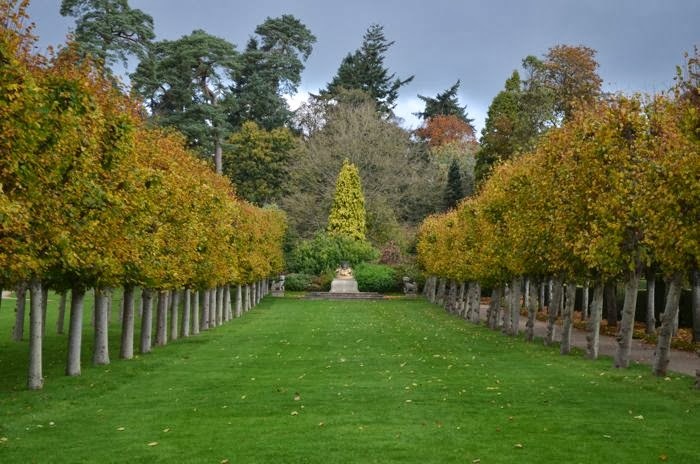 In the Norfolk area of England, the estate grounds are full of pine trees, flowers and lakes. When I walked into the house, it was immediately clear that this truly was a personal residence. The house has only one dining room, in which all meals are served. At lunch and dinner, menus are placed at each person's seat -- and the courses are listed out in French! Breakfast, on the other hand, is served buffet style every morning. Oh, and there are no soup spoons or fish forks -- because they are considered "new money" inventions - ha! well these are gorgeous and feel far far far away from KCK this morning. You would love it out in the countryside!